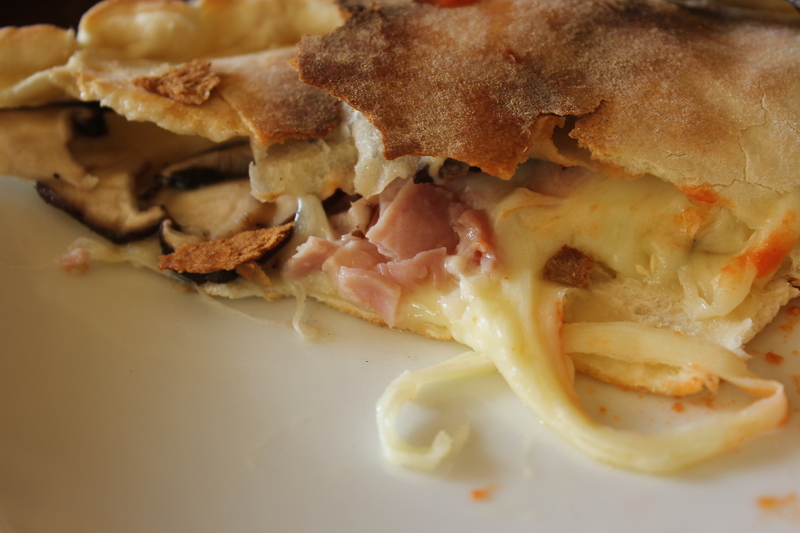 During lunch, La Nonna@ Namly offers diners 50% off the entire bill. However, do note that each diner must have 1 ala carte dish in order to enjoy this. Two good friends and I recently got hooked on documentaries. It all started with watching the newly premiered ‘Oceans’, a brilliant documentary about marine life. The filming techniques used enabled us to feel like a fish swimming alongside all the marine life making it a truly sublime experience. Having caught the bug we proceeded to watch two other documentaries by bbc, ‘blue planet’ and the latest documentary blockbuster, ‘life’. ‘Life’ is filmed in HD and I really recommend you to watch it on okto. I believe they are showing it on wednesday nights. Anyway, to fill our hungry stomachs during lunch, we headed to La Nonna for a bite. 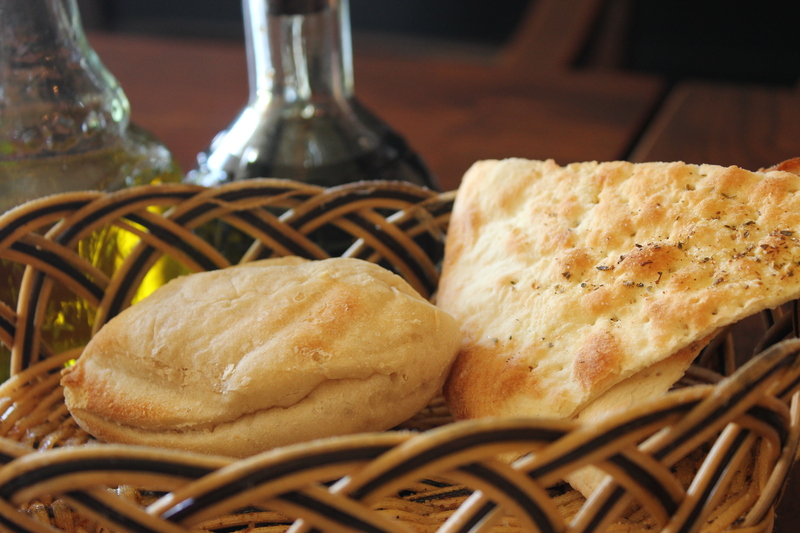 The usual complimentary bread basket was served, with the bread roll fluffy and warm. 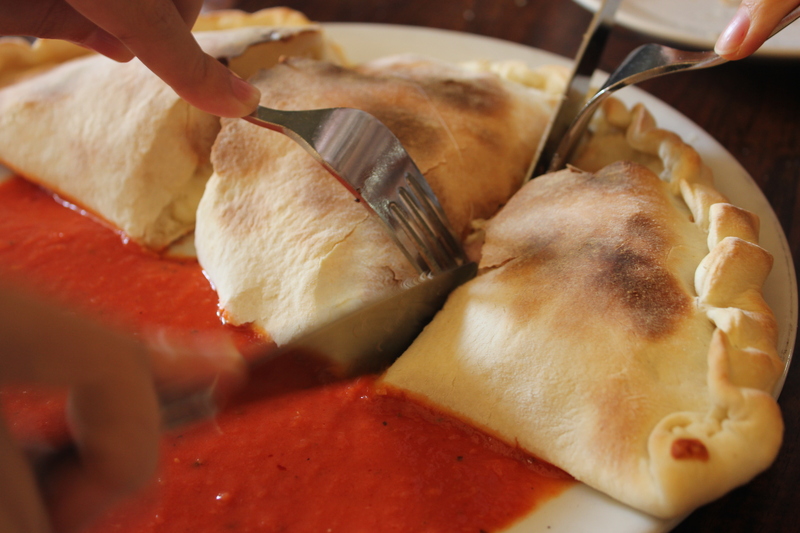 The Calzone ($19) looked a little unappetizing at first sight but a poke with our forks and knives revealed steamy innards. The friends got really excited by the oozing mozzarella while I was more concerned over the sight of mushrooms. The first few forkfuls were interesting enough, but it grew boring because of its simple ingredients. I was particularly unimpressed by the chopped ham which made it far far too salty for me to bear. I carefully balanced my pizza slice as I took my first bite- pure bliss. 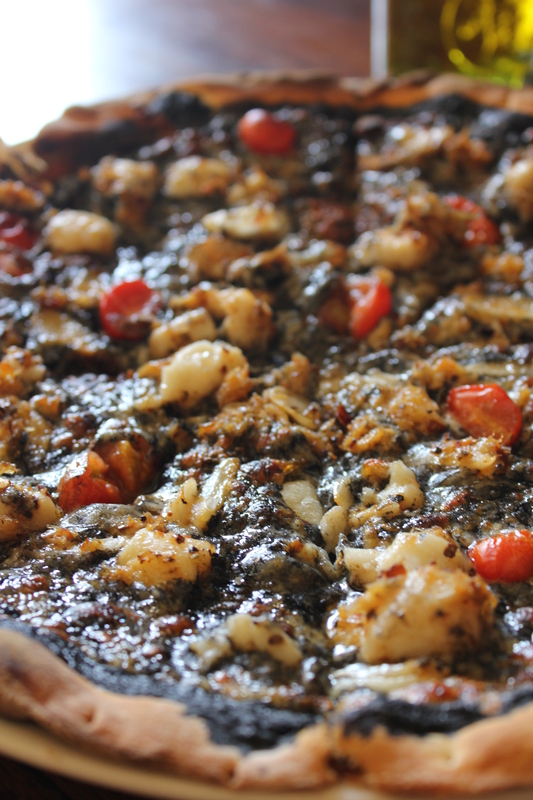 The mildly salty squid ink base with generous seafood toppings ranging from squid, prawn and crab really hit the spot. The pizza Nera ($19) itself was paper-thin which is pretty unusual here, I would much rather a slightly more substantial base. However, after eating almost half the pizza ( the friends were far too full at this point), I was not complaining. In order to enjoy the 50% discount, we were forced to order this. When the order came, I was horribly shocked because the lemon tart ($11) certainly did not look so puny the last time I ordered it during lunch last year. Before, my order was definitely a much larger tart with a scoop of ice cream. Brushing my preconceived notions aside, I tasted it and much to my horror, the bruleed topping was a thick sugar shell. How on earth could they serve this? 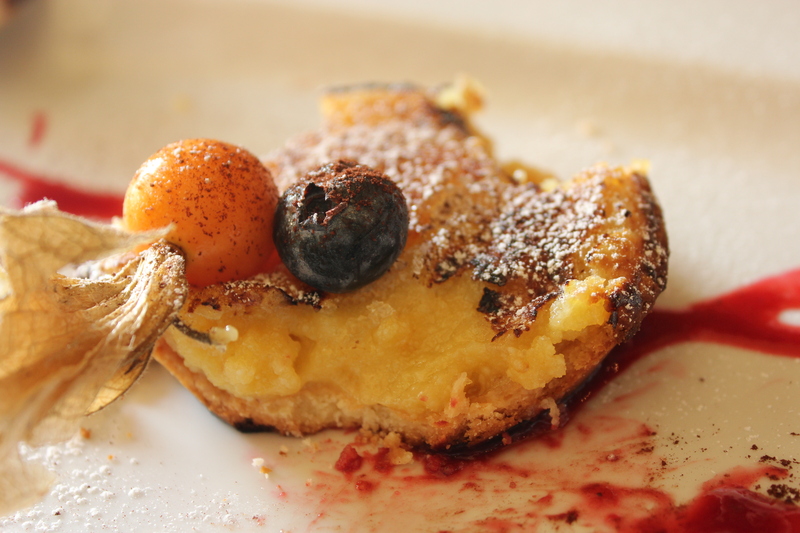 The tart shell was burnt and the inner lemon curd was even more of a shocker. The lumpy lemon curd filling tasted more like salted egg to my friend leaving me puzzled about what we were actually eating. 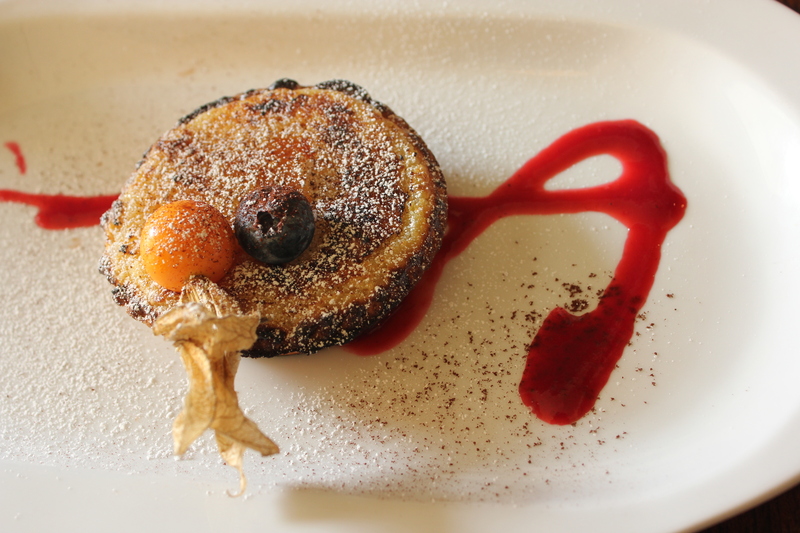 The distasteful decorations of the gooseberry, blueberry and dustings of icing sugar and cacao powder were not only superfluous but also made the overall taste profile of this dessert confused. Again this begs the question, how could they have served it for the price tag of $11 which even after a discounted price, is $5.50? Needless to say, I voiced my disgruntled opinions to the waiter when he asked for feedback and received not a single apology. Instead, he changed the subject by talking about his hometown nepal as he saw that I was wearing my expedition shirt with the words nepal printed on it. Interesting as the conversation might have been, I felt a little sore about the fact that our opinions were so casually ignored. After 50% off, our bill totaled to $28.84. Perhaps the chef was having a bad day and in my memories, desserts at La Nonna have always been pretty good but this experience, I don’t know if I would dare to venture another try.